Look your best and play your best. When your team takes the court, whether for a rec league with friends, or a Division I college, we have the uniforms you need. Our uniforms are super lightweight, and don’t get in the way when you find yourself about the net for a block, or diving for a dig. We offer the widest selection of adult and youth volleyball uniforms in a variety of team colors, meaning your team can find a uniform that every player will love. Choose from traditional sleeve jerseys to more modern long sleeve jerseys that have recently become more popular. Both styles utilize high performance moisture-wicking materials that move sweat away from the body and keep you cool through all three sets. Looking for something during practice on or off the court? 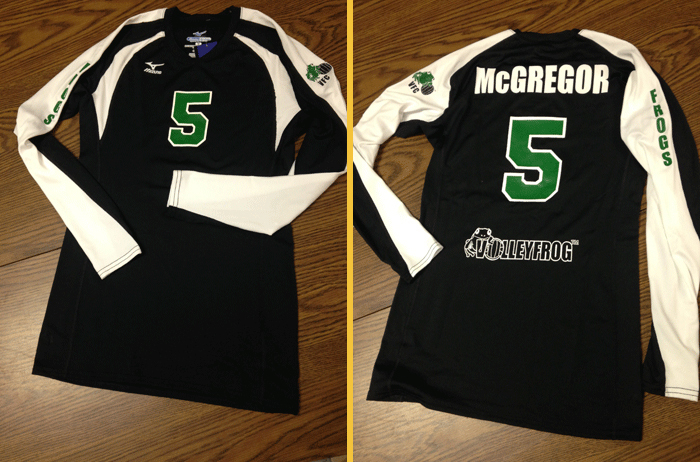 Our custom warm-ups are a perfect addition to any volleyball uniform package. Great for players, coaches and parents, warm-ups offer the same great look and can be matched to almost any uniform.